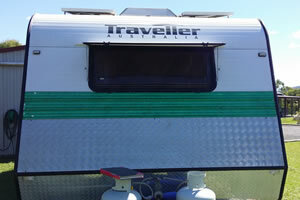 New side sheeting and roll out awning. 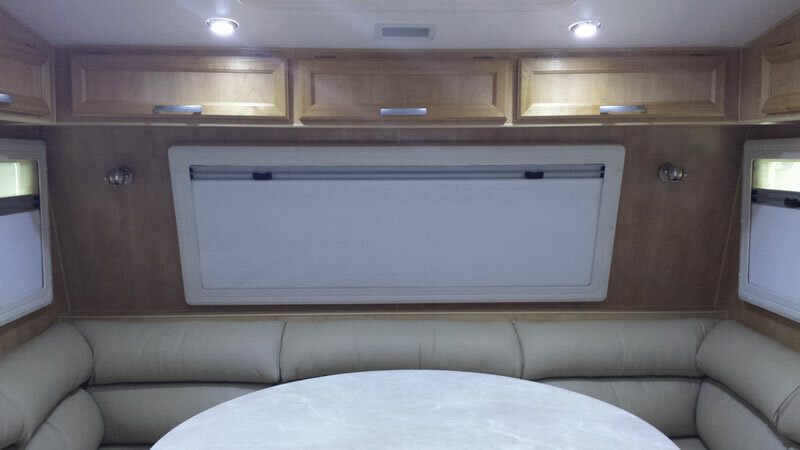 This caravan received new side sheeting. 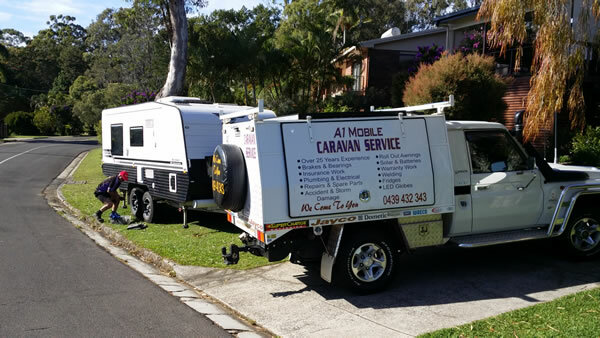 This van was damaged by hail and received a complete re-sheet on the front and roof, including new hatches and air conditioner. 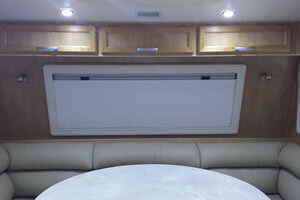 Pictures of a van we recently completely resealed and modified the suspension to gain extra height. 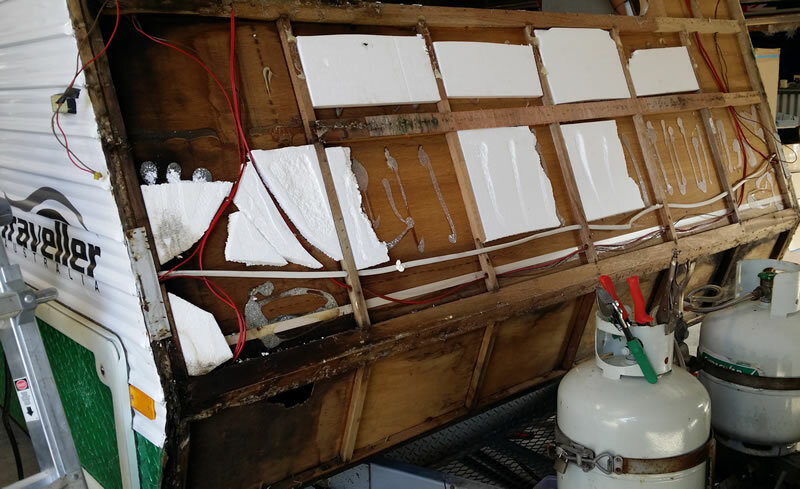 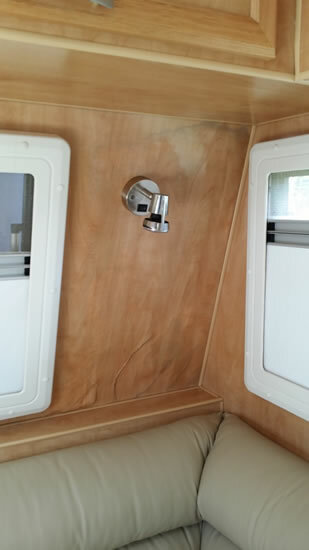 Due to a severe storm this van sustained plywood staining. 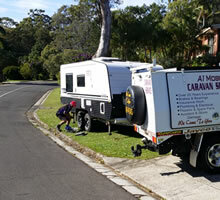 This van was repaired under insurance due to denting on the front from road debris. 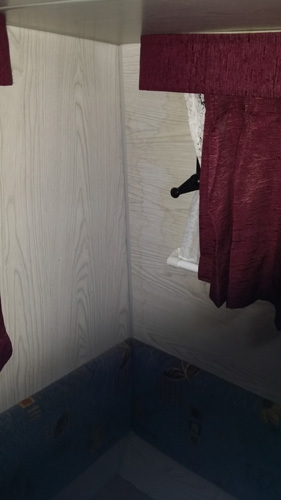 Due to a leaking front clearance light this van sustained water damage/rot, stressing the importance of ensuring your van is well sealed. 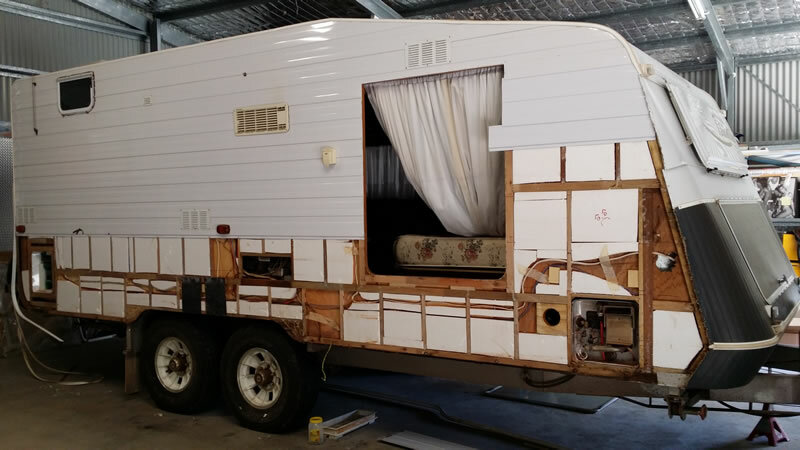 The rot was repaired and the front of the van re-sheeted. 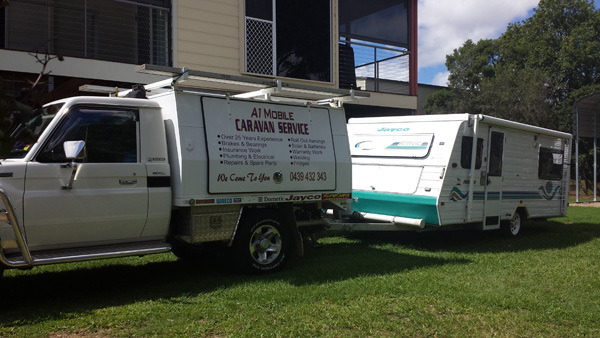 This van was repaired under insurance due to hail damage. 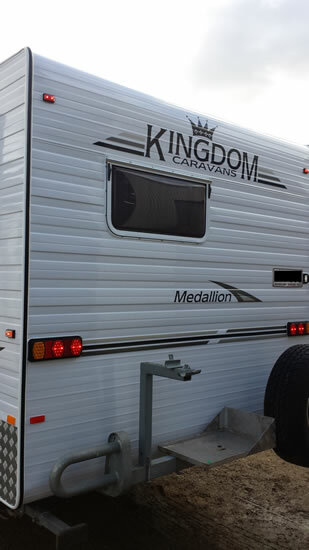 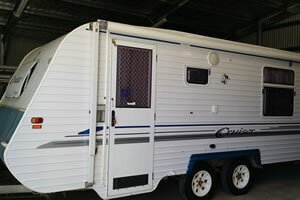 It received new side sheeting, a new door, roll out awning and a new pop top insert. 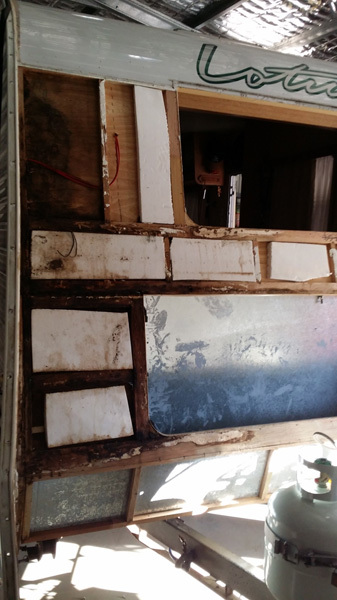 Complete rear wall frame removed, plywood replaced, rot repaired and new external sheeting. 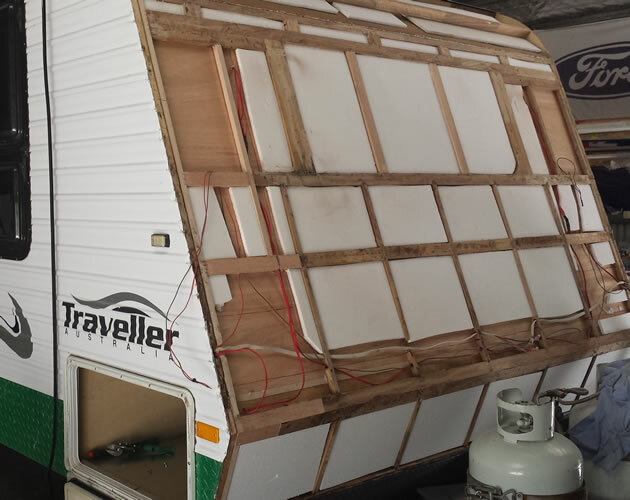 Due to water damaged sustained this van had the complete front wall frame removed, new plywood installed, rot repaired and front sheeting replaced. 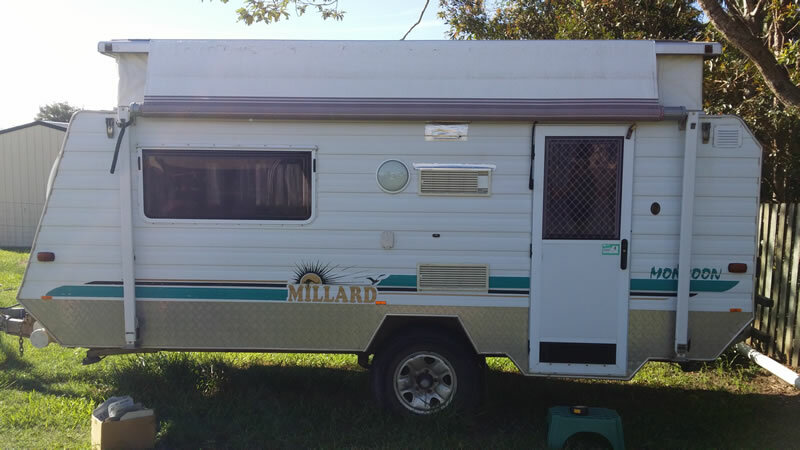 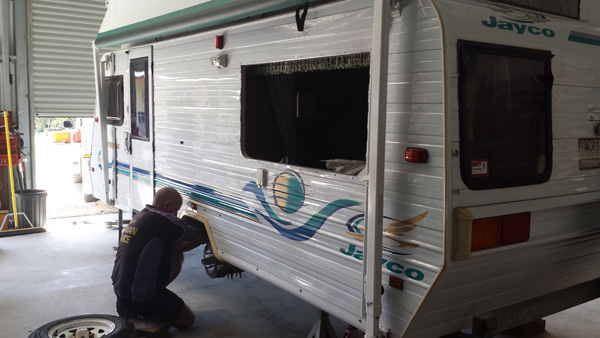 Due to accident damage this Windsor caravan had part of its side replaced. 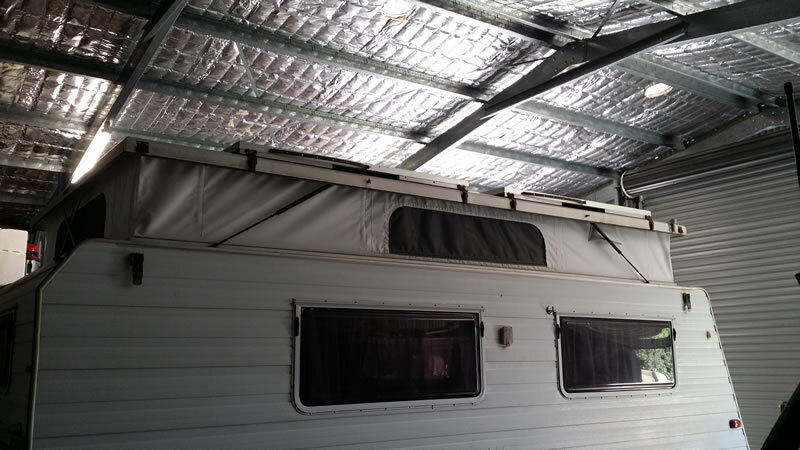 New side sheeting due to accident damage under insurance. 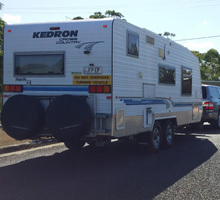 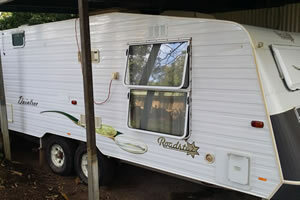 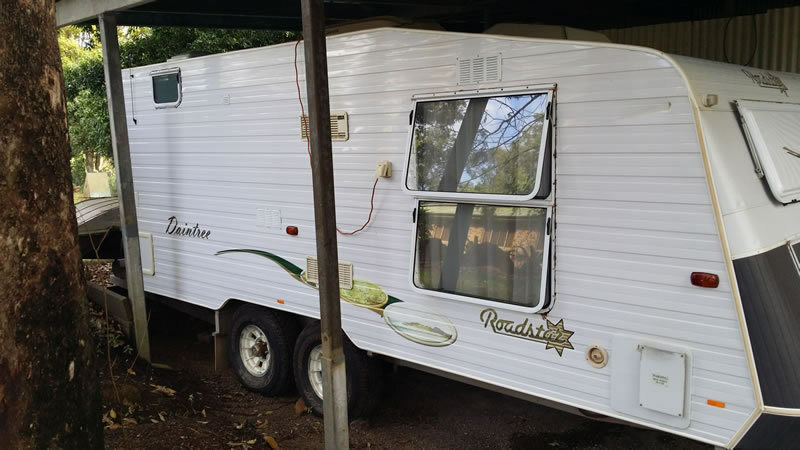 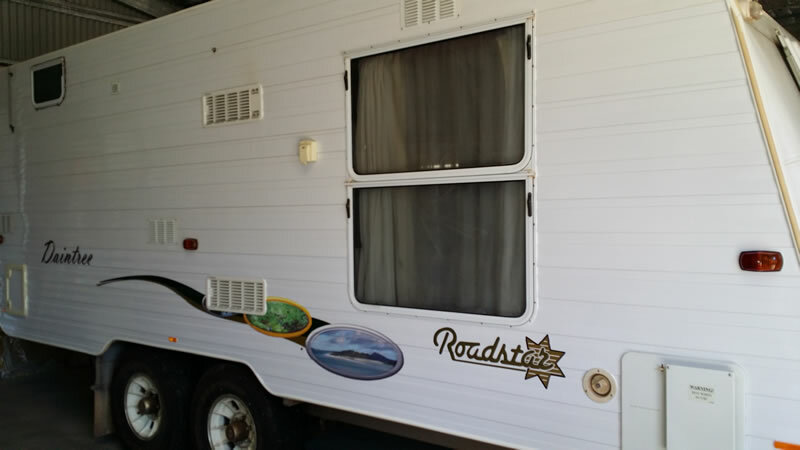 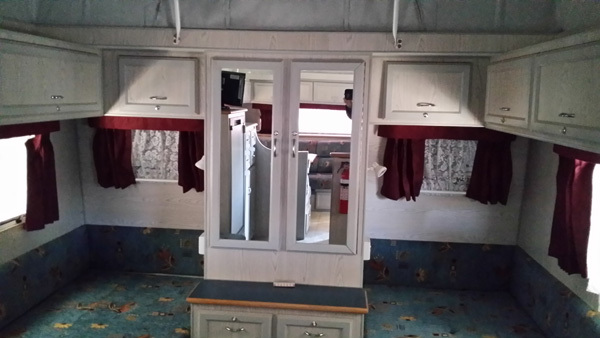 This Roadstar caravan received partial new side sheeting due to accident damage. 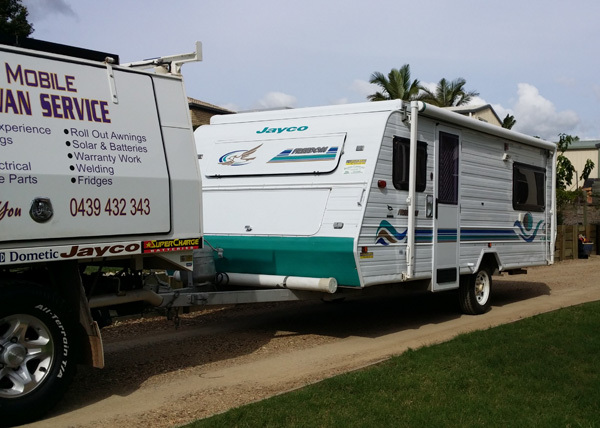 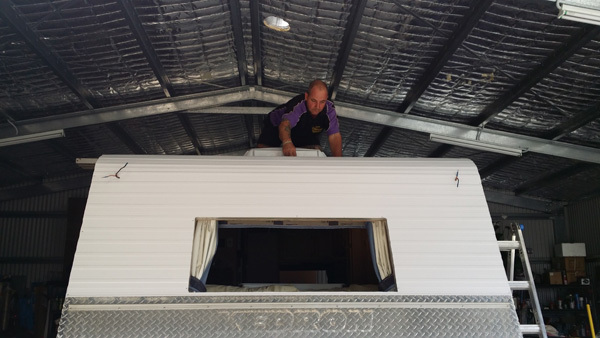 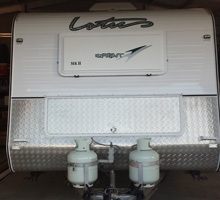 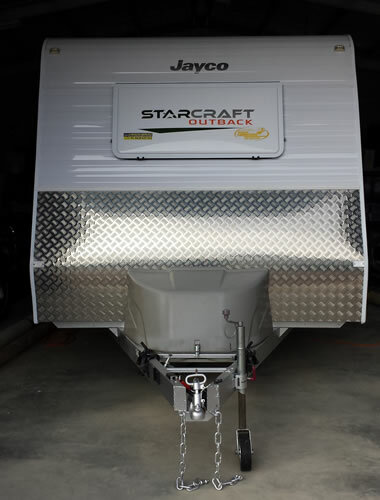 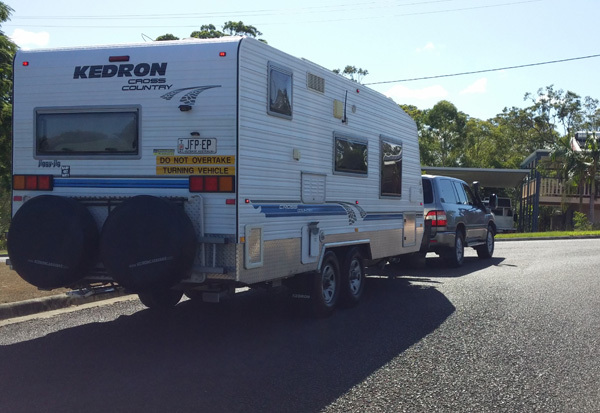 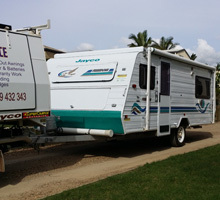 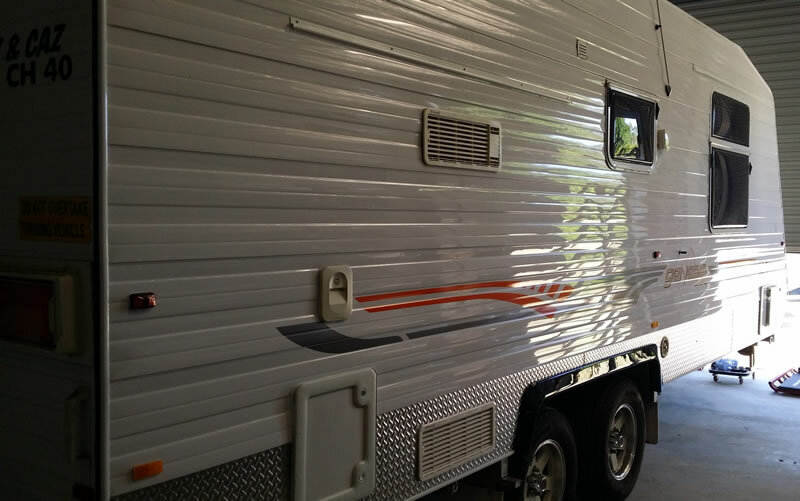 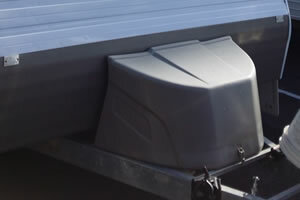 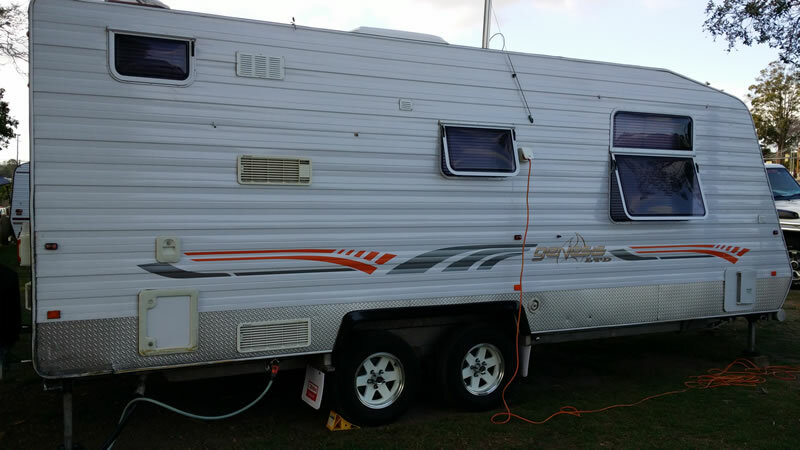 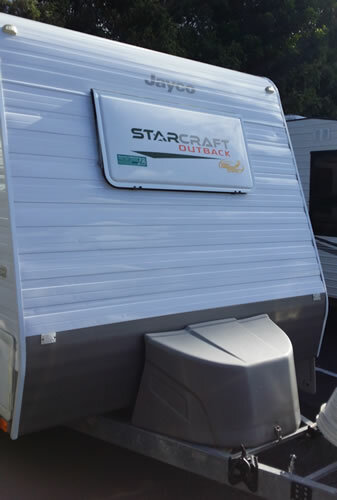 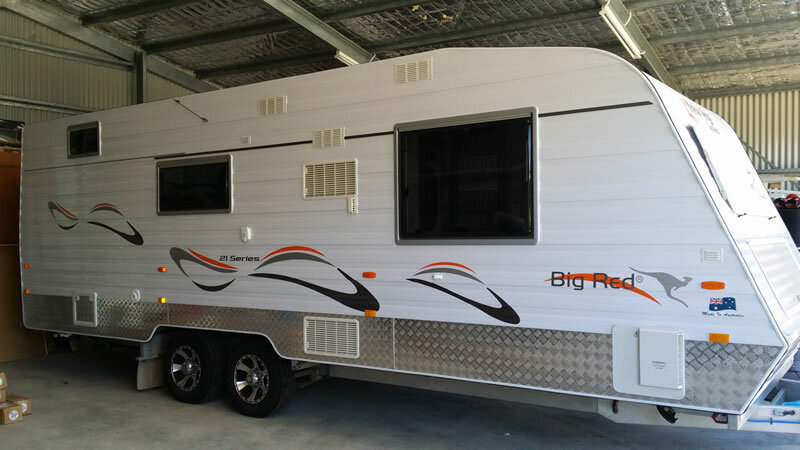 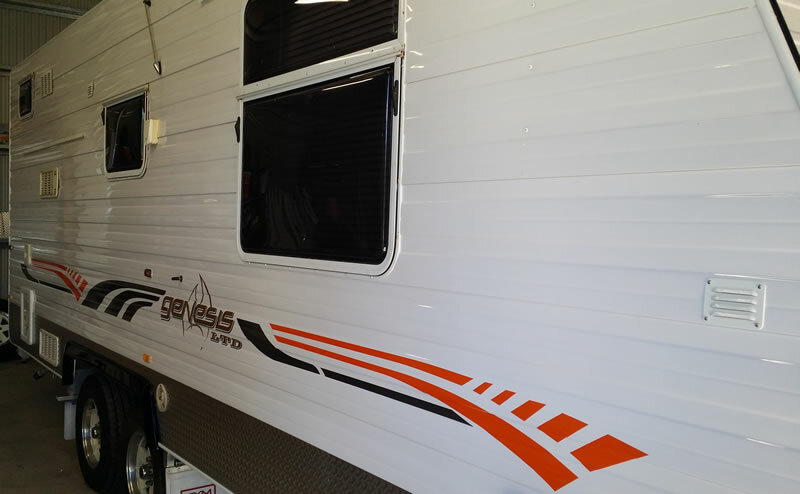 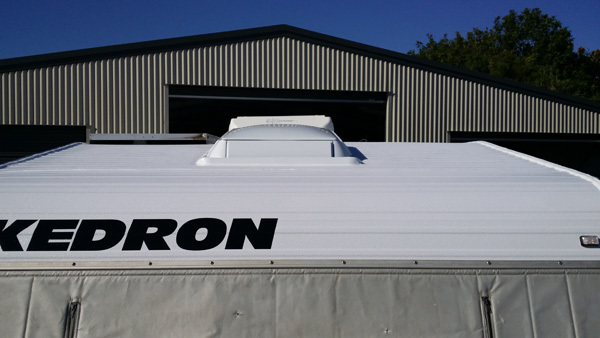 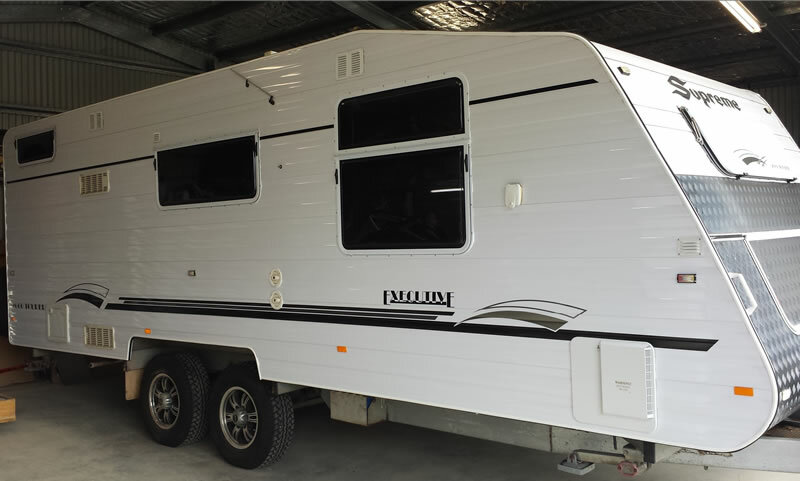 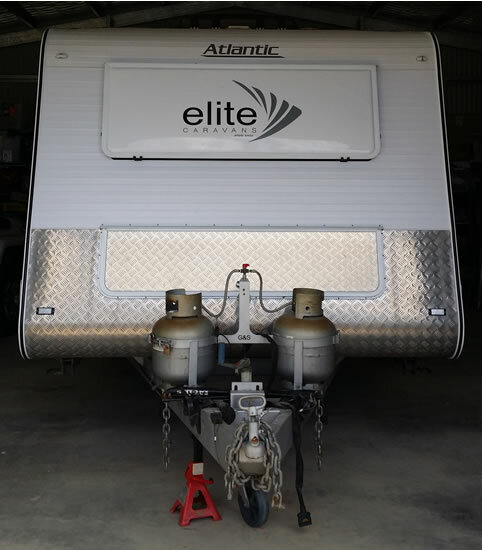 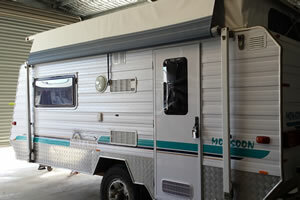 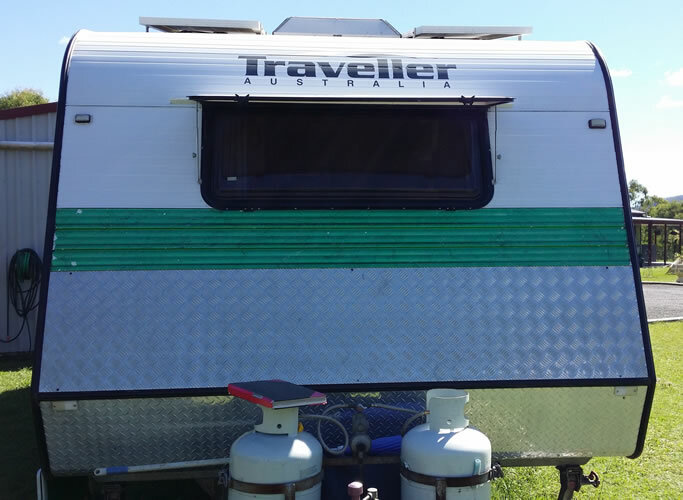 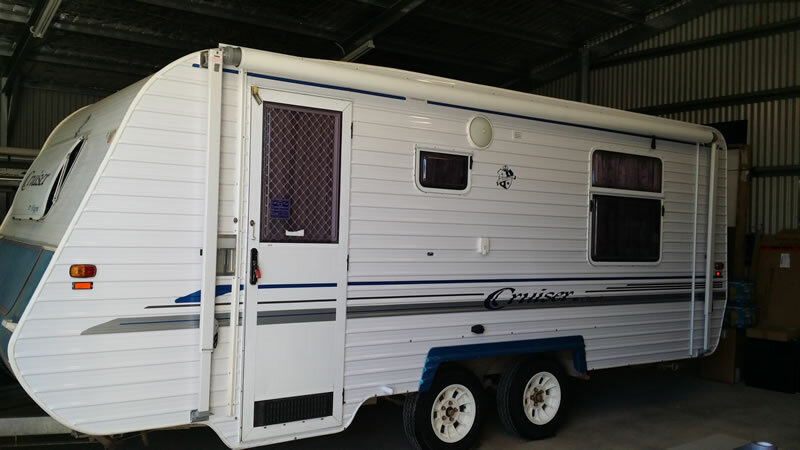 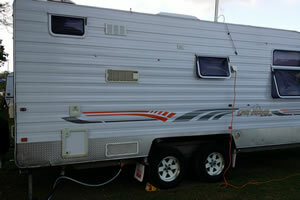 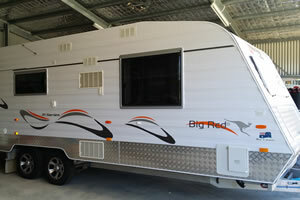 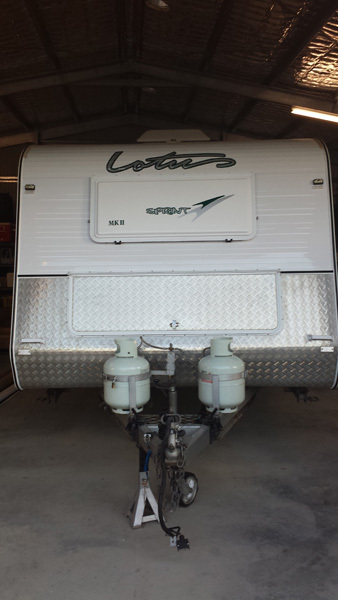 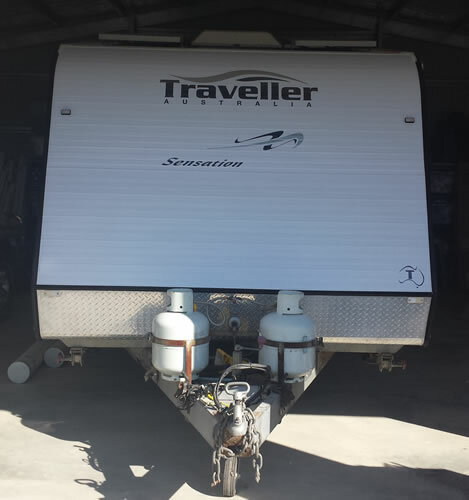 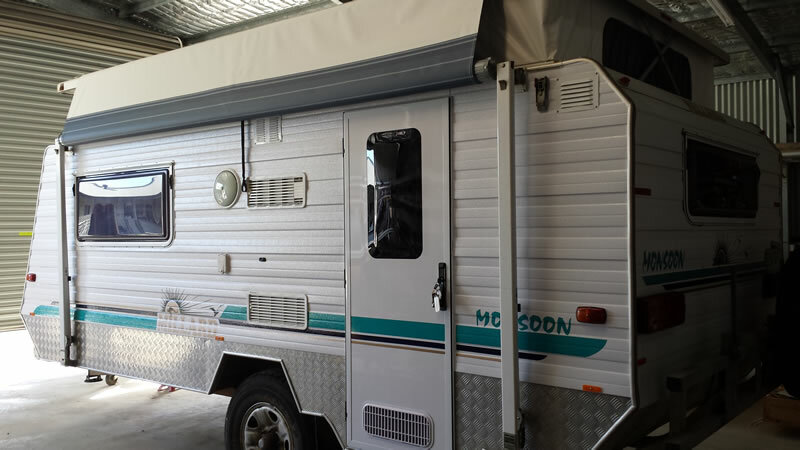 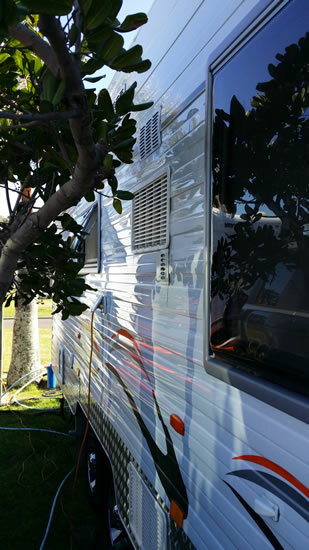 This Jayco Starcraft was fitted with checker plate to replace the existing vinyl stoneguard. 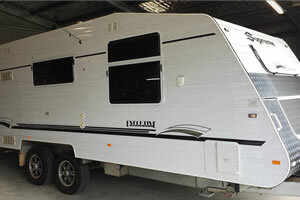 It also received new front aluminium sheeting. 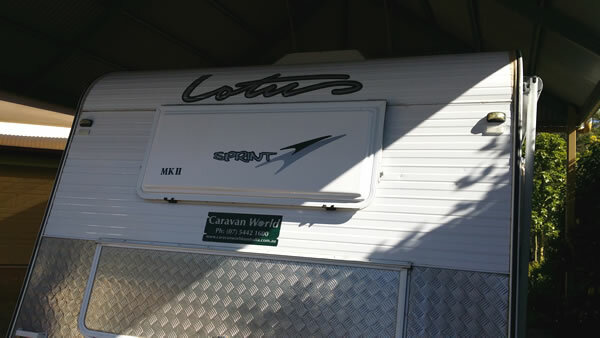 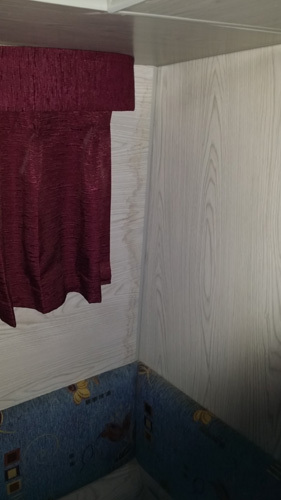 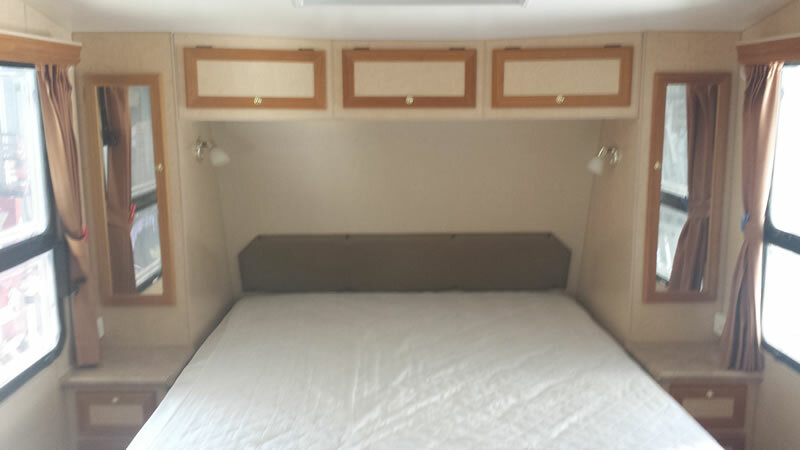 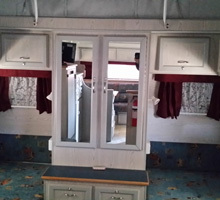 Due to water damage, this Traveller caravan had the complete wall frame removed and repaired with new internal plywood. 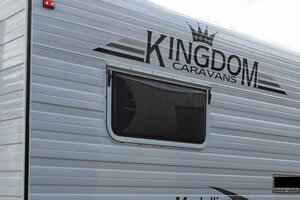 As per the customers request, the front window was left out and the sheeting was changed.